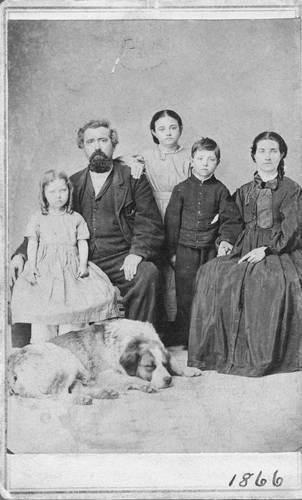 Portrait of Mr. & Mrs. Hugh A. Cook with three children and their dog. Cook was the second Sheriff of Franklin County, Kansas. Photo taken by W. H. Lamon of Lawrence, Kansas.